PCBs—they live among us, but what are they? Polychlorinated biphenyls (PCBs) are a group of 209 different man-made chemicals that share a common basic structure that may be swimming in water near you. Why bring this up? A little history will shed some light. PCBs were first manufactured commercially in 1929 by the Swann Corporation, which later became part of Monsanto Chemical Company of St. Louis, Missouri. Monsanto soon licensed others to make PCBs and the man-made chemical took off like wild fire. PCBs conduct heat magnificently, but are not conductors of electricity, nor do they burn easily. Hence, they are the ideal insulators in big electrical transformers and capacitors (devices that store electricity). 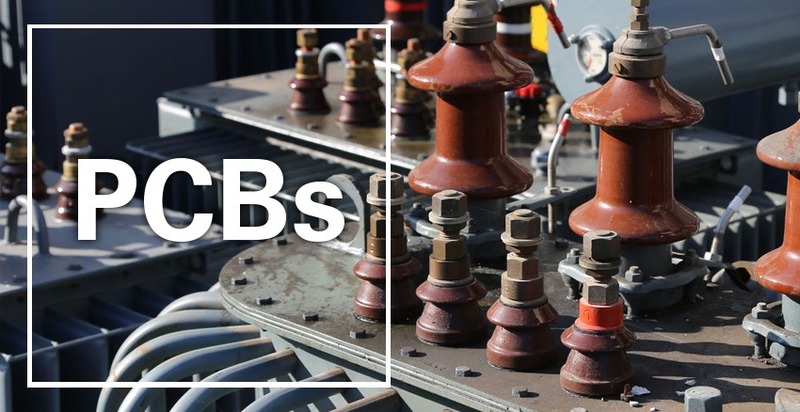 As electricity came into widespread use equipment suppliers like General Electric and Westinghouse became major players in using PCBs. From the years spanning 1946 to 1977, an estimated 1.3 million pounds of various types of PCBs were dumped into the Hudson River by General Electric. Finally, in December of 2000, the international treaty on Persistent Organic Pollutants, drafted by 122 nations, targeted PCBs as one of the “dirty dozen” chemicals to be phased out worldwide. However, much transpired before the phasing out began. Between 1929 and 1989, total world production of PCBs was 3.4 billion pounds, or about 57 million pounds per year. Even after the United States banned PCBs in 1976, world production continued at 36 million pounds per year from 1980-1984 and 22 million pounds from 1984-1989. PCB production is still happening in parts of the world as your eyes move across the page. What makes PCBs perfectly fitting for the industrial world creates huge problems in our environment. PCBs are fat-soluble, but they are not water-soluble. Water-soluble chemicals are excreted, but fat-soluble chemicals are not. This fat solubility is the reason PCBs can build up in animal fat and along he food chain over time. PCBs are closer than ever to home. The following is an excerpt of a published article by a trusted resource intercepted by a Gordon Brother’s associate in the field. “The reason we bring this chemical to the foreground is that in August 2017, four state departments have issued a do not eat advisory for all fish caught in the Shenango River in Mercer and Lawrence counties. The advisory has been issued because of extremely high levels of polychlorinated biphenyl (PCB), according to a joint news release from the Pennsylvania Department of Agriculture, Department of Health, Department of Environmental Protection and the Fish and Boat Commission. The advisory extends to all fish between the Shenango Lake Dam and the mouth of the Shenango River in New Castle. The DEP said it is investigating possible sources of the PCB contamination. Advisories are just that—advisories. Being forewarned of what’s out there in our waters and in our environment affecting our food sources is our business. We here at Gordon Brothers are water specialists, and we have a real vested interest in the health and well being of all aspects of our community’s water and the vast waters beyond.